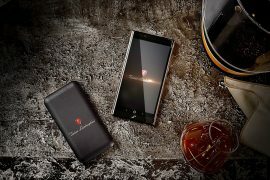 When two high-end companies get together for a special project, they really do make something special – be it in aesthetics side or with new technology. 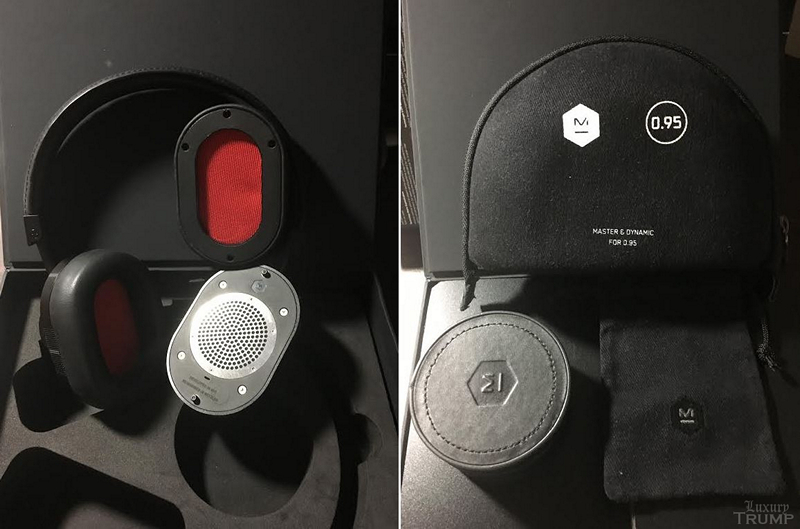 A week or so ago I received a sample MW60 Wireless Over-Ear Headphones from Master & Dynamic, the New York-based audio company with a sterling reputation for making high-end headphones. 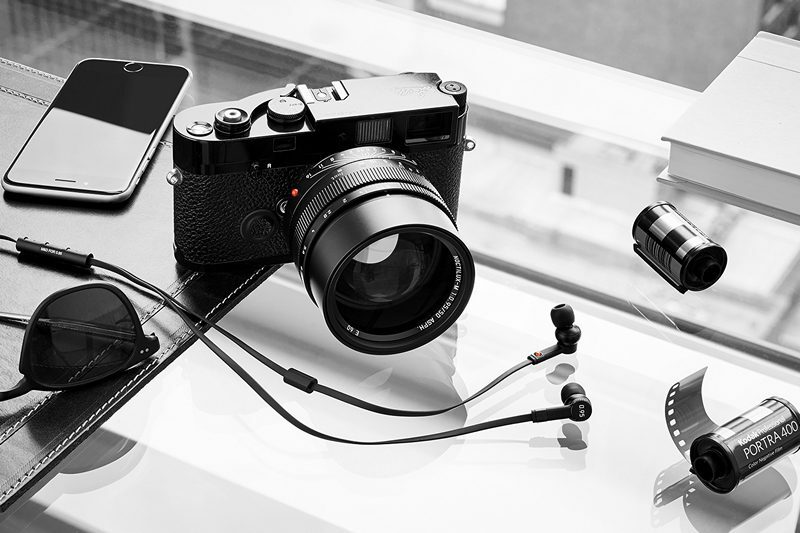 This specific unit is from the limited edition “Master & Dynamic for 0.95” collection, a collaboration with premium camera maker Leica. 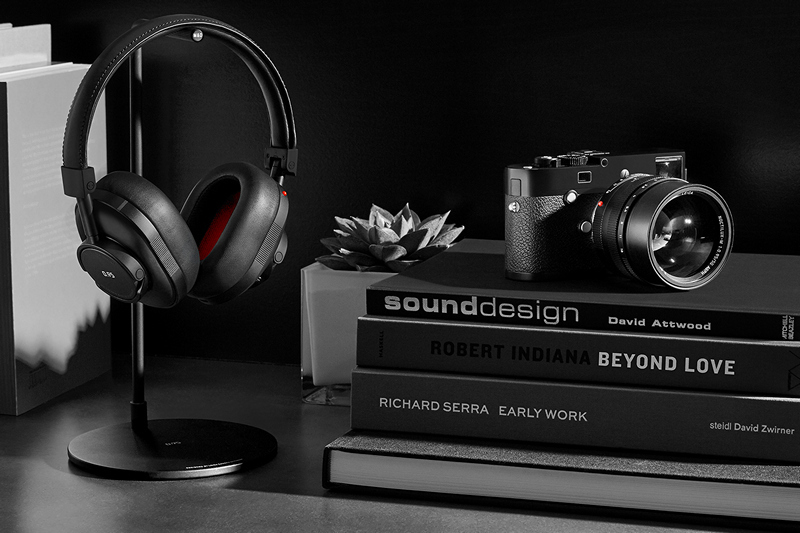 The entire collection consists of Master & Dynamic’s MW60, MH40, and ME05 headphones with a black and red color scheme borrowed from Leica’s Noctilux-M 50mm f/0.95 ASPH camera lens and the brand’s famous red marker. On any given day my go to headsets are whatever that comes with the device – more of a necessity than a choice – I have a small head. All that changed with M&D sample unit, fits perfectly on my head and, importantly don’t look like I am about to board the Apollo 13. The construction and design of these headphones are of the highest quality. Befitting a premium unit its headband comes wrapped in smooth grain cowhide, while the removable/replaceable (great feature) magnetized memory foam ear pads are covered in soft lambskin. Even when on the move adjusting the headband is easy, slides up and down without difficulty. They fold up nicely and fits neatly in the canvas carrying case. Rotatable ear cups offer not just comfort but blocks outside noise as well. I was on the subway with these on, voices and noises were just a blurred echo – without fully isolating sound, which is a good thing in a place like NYC where you have to be aware of surroundings. These well-padded headphones going to do double duty during winter months as ear warmers for many (including for yours truly). On the technical side, the pairing of the Bluetooth 4.1 with Aptx was picture perfect with my Apple products – iPhone, iPad and MacBook Air. There was some trouble linking with Windows 10 PC, which I suspect had to do with drivers of this 4-year old computer, it identified the unit but refused to pair. This has a quite a good signal range because of its exposed all-aluminum antenna, I left the phone at home and walked about 35 yards outside, and it stayed connected. Call quality is excellent thanks to its noise-isolating microphone, though there was a slight echo. Leica-inspired design features include red cover in ear pad acoustic mesh and their signature knurling on the ear cup. 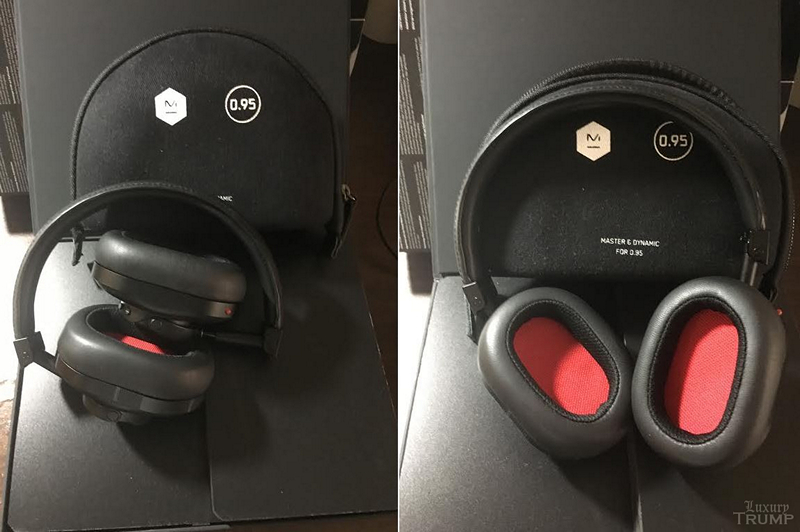 Normally on M&D headphones, you see their M logo, for this special edition, it is replaced by Leica’s 0.95 logo. The MW60 ear-cup insides are engraved with the words “Developed in NYC. Reimagined in Wetzlar”. Audio quality is excellent, even in low to medium volume. I listened to a few tracks on Spotify, YouTube, a lot on Music app and podcasts on various devices – the sound is crystal clear on each of them. You can hear every word and notes of the guitar, piano, and violin. 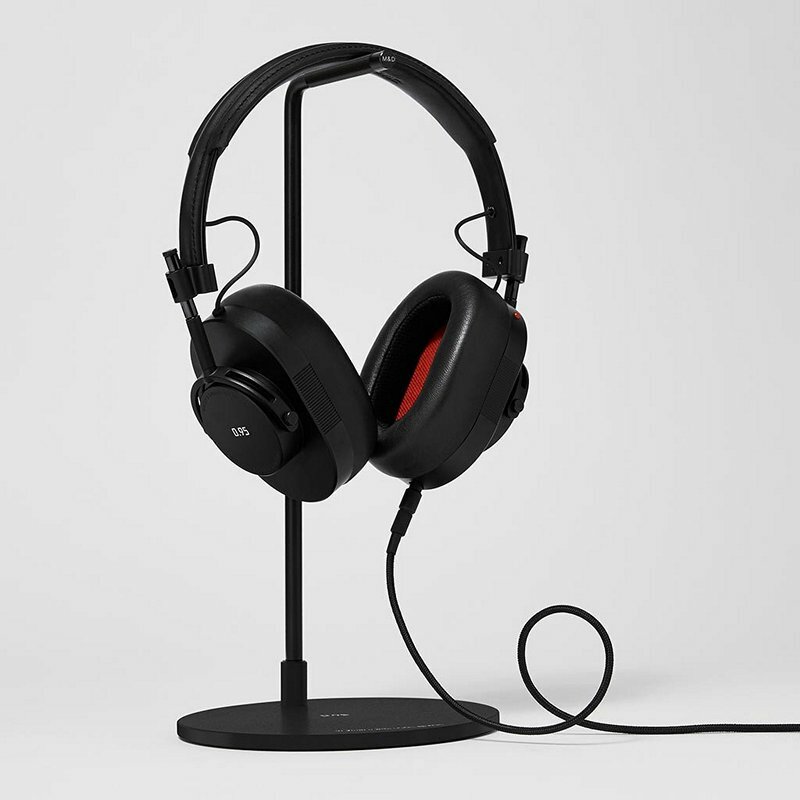 The MW60 Master & Dynamic for 0.95 comes in a black velvety box with few accessories that include a canvas pouch, canvas code case, standard cable, Micro USB charging cable, gold-plated adaptor and a nice leather cable box. 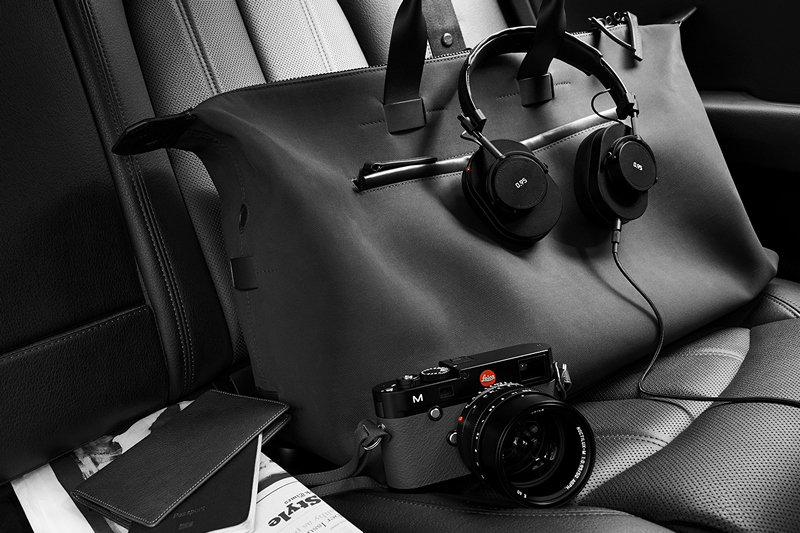 Optional accessories include a $59 Leica branded stand. 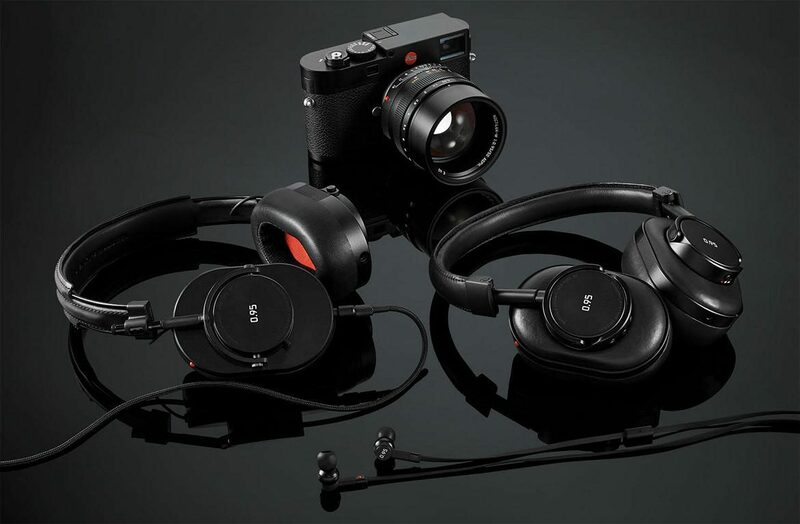 The special edition Leica MW60 costs the same as Master & Dynamic’s standard MW60 – $550. A couple of snags in my opinion – the first, locations of Bluetooth and multi-functional buttons are not the best – they are placed underneath Neodymium drivers, locations takes a bit of time getting used to. 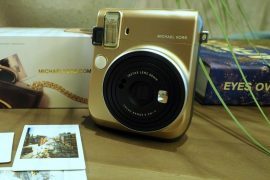 The second issue is the accompanying audio cable, not only comes without microphone and volume controls, once plugged in, it also powers off headphone and microphone – this means to change volume/tracks and to make calls you have to take the device out. 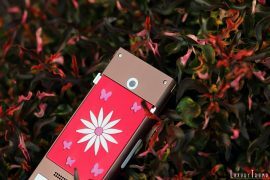 Cable will come handy on occasion when the battery is dead, but the chances of that happening are slim as it has an excellent 16 hours of battery life on a full charge. If black and red is not your favorite color combination, there is the option to go for a powder blue and black headphone set. This is from their other latest collaboration – with Bamford Watch Department. 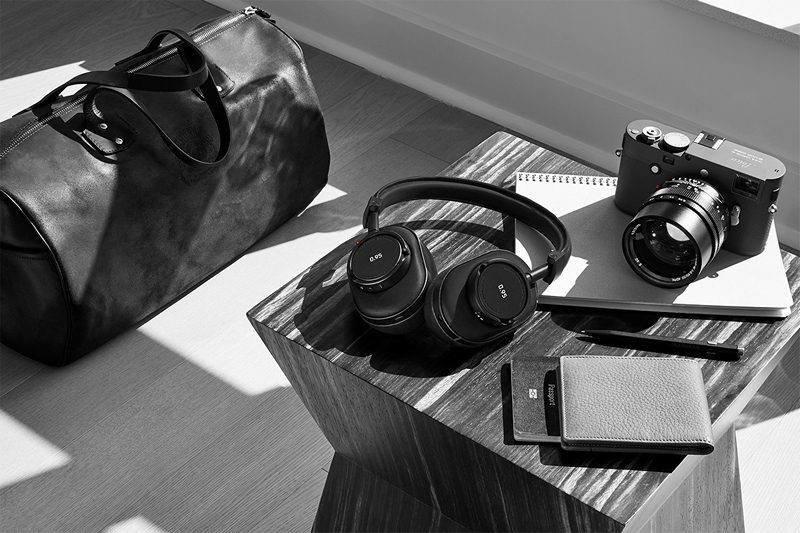 Check out all three collections at Master & Dynamic website. UPDATE to Windows PC connectivity – connected with my 8-year old Sony Vaio laptop running on Windows Vista without any issues.